e-hoop is a project co-funded by the LifeLong Learning Programme of the European Union. The project is a collaboration between Cyprus, Greece, Germany, Lithuania and Helsinki. It is coordinated by the Cyprus Neuroscience and Technology Institute (CNTI), Cyprus with partners the FAVINOM Consultancies Ltd (Cyprus), Hellenic Open University (Greece), New Technologies and Learning in Europe (NTL, Germany), Youth Career and Advising Center (JAUNIMO KARJEROS CENTRAS;JKC, Lithuania) and DAFNORD Association (Finland). Despite significant progress achieved over the past decades, many educational settings still discriminate between learners, either because they come from a different cultural background (e.g. immigrants) or because they have different learning styles or face learning difficulties. Placing focus on combating poverty and social exclusion the e-Hoop project proposes a new conceptual framework of inclusion and proposes a unified way to address “differences”. 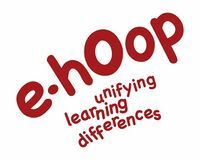 The aim of the project is to create a universal, dynamic and adaptable e-Learning environment which educators can use, modify and expand, achieved through the development of an open-source experimental platform capable of hosting and delivering e-Learning material in the form of Learning Objects, which meet specifications that enable and facilitate the e-Hoop concept, namely the philosophy that all people are equal and have equal opportunities in learning. The platform will evaluate learning abilities on the basis of which it will deliver content to learners in ways they can learn best (i.e. auditory, visually). In this way differences (i.e. disabilities, dyslexia) can be eliminated. Structured Dialog engaging diverse stakeholders will be used to identify obstacles that prevent this, and agree on actions to promote the e-Hoop concept. The results will be used to derive the requirements for the platform and agree on a succession scheme in the partnership agreement for further exploitation. The application of OSS tools will facilitate further development and long-term exploitation making it freely available to educators and learners. 7. To provide an educational tool that is adaptable to the learning preferences and styles of the learner exploiting contemporary research and already developed tools. The e-Hoop project not only foresees the immediate exploitation and valorisation of its ideas, products and results, but it also puts in place mechanisms and process to secure that the project’s impact will continue beyond its funded life time. organizations who will engage educators to use the system, upload learning objects, promote the e-Hoop concept, as well as diverse stakeholders to participate in structured dialogue and trainings.